Here is an interview with talented Dutch author Mike Jansen, friend and colleague with James Ward Kirk Fiction. Please make sure to check out the links section and delve into Mike's interesting and varied literary world. He has some interesting things to say on writing from an EU perspective. Enjoy. This interview was triggered by the two books Dutch writer Mike Jansen published recently. In March he published TheFailing God, the first book of his fantasy series ‘Chronicles Of Cranborn.’ A few months earlier he published his short story collection Ophelia In My Arms. You might think that's enough for a man to handle, but Mike is also editor at Dutch publisher 'Verschijnsel' and at 'JWK Publishing', he has been pushing new writers to publish digital media and he is coaching several new writers. I sincerely hope he will not burn-out, because I desperately want to see him finish his fantasy series. 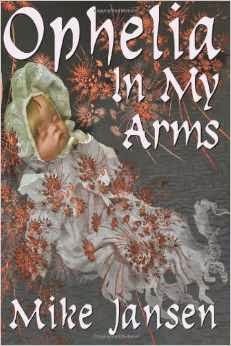 1) Mike, let’s talk about your short story collection ‘Ophelia In My Arms.’ Before I read this book I had the impression that you were primarily a SF writer. But the majority of the stories in this book are Horror. And now your first novel appears to be Fantasy. How do you see yourself as a writer? Apart from the obvious answer "a good story is a good story," that is. The real answer is: I like to be versatile. I love a good Science Fiction story, but I can also write Horror and Fantasy or cross-overs of each of these genres. It's really a matter of what story I want to write at a given point in time. Sometimes I write for specific themed contests or anthologies and that sometimes requires you to write outside of your comfort zone. A good thing, really. I consider myself at the beginning of my writing career, so every story I write is in fact a new experiment, a new way of looking at specific writing issues, from world and character building to psychological and emotional development. And I like to write with some of my fellow authors, for their own unique perspectives and specific ways of writing stories or coming up with ideas. Ophelia was really the result of a request from my US publisher to collect a number of my stories into an anthology. I thought that was a brilliant idea and when I showed it to Roelof Goudriaan (Verschijnsel), my Dutch publisher, he immediately opted for a Dutch version. 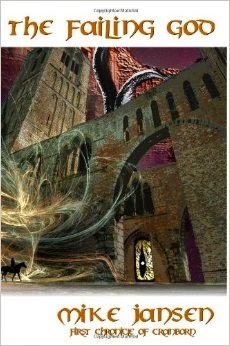 The first novel being fantasy. It was a decision to write either a Fantasy novel, for which I had a lot of material ready, or a space opera sci-fi novel or a weird cyberpunk/dystopian novel. I chose the Fantasy novel, which I'm now writing the third part of. In the mean time I've also developed plans for a bizarro/horror themed novel and a techno thriller. 2) Were all the stories already available in English or did the book need extra translation work? And what role does English have in your career? Did you write in English right from the start? Some of the older stories were only available in Dutch. I had to translate them, but that's not a big issue these days. Most of the stories in Ophelia in my Arms I wrote in English first. Whenever I write a story these days I try to create a translation as soon as possible. Double the work, but it's nice to be able to answer a request for a story with: "here, this seems suitable.” Apart from writing stories, I have a lot of international work that requires me to speak English, mostly at high business level, write offers, documentation and contracts. So my English gets polished more or less continuously. The first story I wrote in English, for an English language contest, was 'The Day the Sea turned to Jelly', which received an honourable mention in the Australian Altair Magazine launch competition. That was 1998. Later on I renamed it 'The David Effect', which sounded better, although I really liked the 'pulpy' feel of the original title. I think it wasn't until 2012 that I started to write directly in English and I've reached the point that most edits that are returned to me contain only very minor adjustments. 3) You mentioned that you like to write with fellow authors. The only co-operative project that I am aware of is the story 'Retrometheus' that you wrote with the late Paul Harland and that won the prestigious King Kong award 1992 in the Netherlands. What more work did you do with other writers and is anything available in English? 4) There are 13 Horror stories in the book and 8 SF stories. And there are 10 poems. Why did you include these in the book? Were they meant as a nice intermission or are you a poet as well? In other words, is there a chance that you will publish a dedicated poetry book one day? The poems are not really poems, to be exact. They're exercises in writing minute stories. The longer ones are less than 420 characters (size of a FB update), the smaller ones are exactly 5 lines of 5 words each. I also have some that are less than 140 characters (size of an SMS/twitter update) I included them for the intermission, yes, and selected those that fit the overall theme of the collection. I'm not sure if writing these small stories makes me a poet. What I do know is that writing them takes only a few minutes mostly and that they help get the creative juices flowing. If I wanted to create a collection of those I could fill up a nicely sized book already, maybe add a few dozen more to give it real substance. I think it's more a matter of 'when' than 'if' it will come. 5) I read many anthologies. Seldom, less than once a year, I find a story that really stands out. Which for me means that the story is well executed, breathes lots of atmosphere and keeps singing in my mind long after I have read it. One of the last stories in your book, 'The Copper Oasis', is such a story. What exactly constitutes an excellent story for you? First of all, I'm happy you enjoyed ‘The Copper Oasis.’ Reactions to it are mixed and, I must say, understandably so. It's not a story that adheres to the golden rules of writing a good story. It wasn't written to show off a great plot arc, because there isn't any real plot, character development is limited and the characters never get into any real problems. But the world, I'm told, is beautifully created. So why did it win a prize? Why were the jurors excited about it? That brings me to the actual question you asked: for me an excellent story is one that makes me think and wonder and look at the world through different eyes. If that story is then also well written and is beautiful enough to draw me in and keep me there, it's a winner for me. In 'The Copper Oasis' I asked a very simple question: 'Would a mechanical man, a robot, with human-like brain capacity, develop a sense of loneliness after guarding a desolate world for many thousands of years?' As a premise that sounds simple, but turns out you need to take many things into consideration, especially in the format of a short story. Funny fact: I wrote the story with the music of Ennio Morricone in my ears. People sometimes come up to me and tell me they could almost hear the music while they read the story. For me that's a big compliment. 6) In 'The Copper Oasis' chemistry plays a major role. Is that part of your work or educational background? If not, is your education or work helpful in any way? Part of the chemistry is based on research. Part is based on education. When I was in high school, my career choices were chemistry or IT. I finally chose IT, mostly because I perceived the bigger challenge there. And I guess both interests were helpful in writing the Copper Oasis. 7) Your Fantasy novel, 'The Failing God,' has just been published in English. It is the first of the five-book series 'Chronicles of Cranborn'. Does this mean that we will not see any more SF from you for a long time coming? No, it does not mean that at all. I write one fantasy novel a year in that series. But I have material for a few Sci-fi and Horror novels as well as techno thrillers. In addition I write many short stories for magazines and anthologies. In all I write about 250-300k words a year, or more, so that's enough for two or three novels a year. Expect a lot more from me in the coming years, in all different genres. 8) That's good news for the readers, who don't like fantasy. In one of the major newspapers there was an item with the title 'Science Fiction, is it something of the past?' One of the viewpoints was that SF is no longer interesting because science is now all around us. That could be one of the reasons reader attention has shifted towards Fantasy. What are your views? My view may be somewhat different than the view expressed here. I will agree that there is less 'technical' Science Fiction around, the kind of stories that regale of the beautiful sciences and technologies that will push humanity forward in leaps and bounds. I will agree that there are more Fantasy books than ever before, in all shapes and sizes. But there is still Science Fiction around and lots of it too. The nice thing about Science Fiction is that the field is so incredibly broad that some of the stuff being written today may not even look like Science Fiction at all, yet still is. 'What if?' is still one of the most powerful questions humans can ask and as long as a writer is capable of asking that question and is willing to investigate the possible answers, Science Fiction will remain alive and kicking. My opinion, of course. The fact that more readers these days seem to favour Fantasy is a different realization altogether. I don't think that having 'science all around us' is detrimental to the interest for science. In fact, I would expect the opposite. What I think is happening is that Fantasy addresses different markets than the original Science Fiction readers, who were, by and large, white, male and American, who grew up in the time of the Cold War, the race for the moon and boundless investment in hard sciences, both in research and in education. But that is only a small percentage of the worldwide population. By searching for new markets, publishers quickly found that women and in later years young adults could also be voracious readers and they tailored their search for new authors to that part of the population. Is there an easy way to prove that statement? Go to a book store. Look for the Romance section. Don't be surprised to find the Fantasy and Young Adult sections really close by. Don't be surprised to find much the same colour settings, pictures and themes on the covers of all these books. Now think it through. Again, my opinion. 9) You are involved with two publishing houses, as far as I know. And you are coaching new writers in various ways. How do you combine all of this with writing several books per year? Yes, I assist Verschijnsel (verschijnsel.net) in Belgium and JWK Fiction (jwkfiction.com) in Indianapolis, US. And yes, I also help out new writers. And I do write some 250-350k words per year. I can make this work through strict focus on my family, my work and my writing. That's what I do, not much else. Let's put that in perspective: 1000 words per day. That's not spectacular. And I usually write in what I call 'edit mode', meaning that most of my work is ready for publishing when it's delivered to the publisher's desk. Writing in 'edit mode' is what makes the difference. I rarely (need to) rewrite and if I do it's no more than once, based on input from various readers. 10) This interview is for Europa SF. The purpose of this site is to present European SF to the world. So far however contributors seem more concerned about conventions than about presenting the writers of their countries in such a way that the rest of the world will notice that European SF is something special, well worth reading. What should be done to move to a truly European SF scene? I do not claim to know the exact situation in Europe, but I've been around for a while and I've seen conventions and initiatives to promote genre, books and authors. In Europe we have a large diversity in culture and languages. It means we have many distinct and unique voices in genre as well as mainstream literature. The problem is that there is no single European market that allows you to reach millions of potential readers. In sharp contrast to the English language market, which is well over half a billion people. This problem isn't new and it's quite universal in day to day dealings within the EU. Because the markets are small and local, the easiest way to congregate for people is through local conventions, usually safe, cosy, with often the same people from one convention to the next. It's also detrimental to the interaction between cultures and languages, as you create an 'incrowd' of genre lovers. Publishers are not helping either: they are more likely to select 'safe' English authors who have already sold many books. Risk aversion is a common theme with publishers nowadays. It's these and many other small things that hinder a truly European SF scene. If we look at the USA, we see author associations like the SFWA and the HWA and many more that provide services to their members and help authors, artists and publishers organize to optimally reach their markets. Now, the US model is not the end-all of scifi organizations, but a European version of these associations might help organize the European authors, artists and publishers and provide a launch platform for organized initiatives. Such an association could raise funds to organize a European prize for European authors, which in turn generates interest in European fiction. It will still require ways of crossing language and cultural boundaries, but those can be handled piece by piece, in small increments. This organization could deal with European publishers to point their attention at new and exciting writers in the market today. And I'm sure there are many other things these American organizations do that Europe could learn from. There are many details to work out, but I think a European SciFi organization styled after HWA/SFWA might be a great, first step towards a strong European writing community. 11) That is definitely good advice that people who favour a European SF scene should think about. These were my questions so far, Mike. Thank you for this interview. Is there anything else you want to share with your readers at this point? Yes, there is one thing, a request. 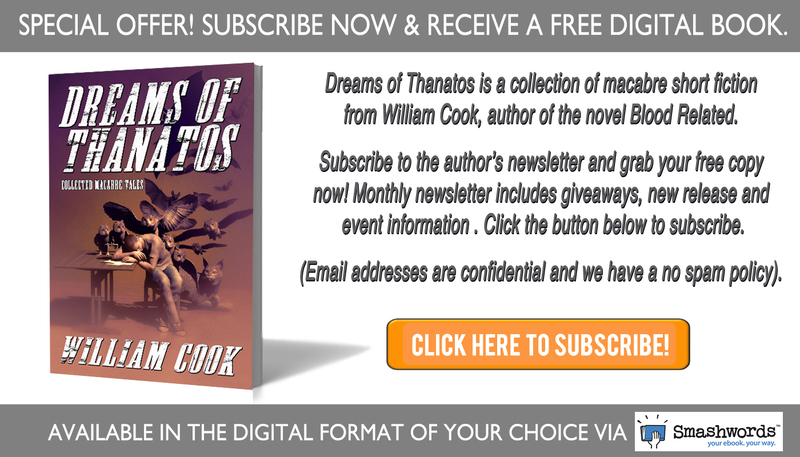 My free stories have been downloaded thousands of times and I hope people enjoyed those. However, maybe 1 in 200 leaves a rating and 1 in 500 writes about how much or how little they enjoyed my work. So my request is this: if an author gives some of his work away for free and you, the reader, enjoy that work, leave a rating, or even a remark. Authors love that sort of thing and it helps them to perfect and polish their work even more. Mike has published flash fiction, short stories and longer work in various anthologies and magazines in the Netherlands and Belgium, including Cerberus, Manifesto Bravado, Wonderwaan, Ator Mondis and Babel-SF and Verschijnsel anthologies such as Ragnarok and Zwarte Zielen (Black Souls). He lives in the Netherlands, in Hilversum, near Amsterdam. He has won awards for best new author and best author in the King Kong Award in 1991 and 1992 respectively as well as an honorable mention for a submission to the Australian Altair Magazine launch competition in 1998. In 2012 Mike won awards in the SaBi Thor story contest, the Literary Prize for the Baarn Cultural Festival and the prestigious Fantastels award for best short story. Mike's debut novel, The Failing God, is available in English, while an anthology of his short stories title Ophelia In My Arms, has also been published by JWK Fiction.